For Ashley Okwuosa, who grew up in Nigeria, writing about the issues Africans face is second nature. The 23-year-old said her experiences bring context to her storytelling. If she is interviewing someone who has struggled with the complexities of immigrating to the United States, she can understand, she said. She’s been through it. Ashley came to the United States at 16 and became a student at Rutgers University, where she earned a B.A. in journalism. She attended the school on a student visa, which allowed her to work for one year after graduation. Once her visa expired, Ashley returned to Nigeria to work for a year. It was during this time that she realized she wanted to continue learning about journalism so she could better write about her country. 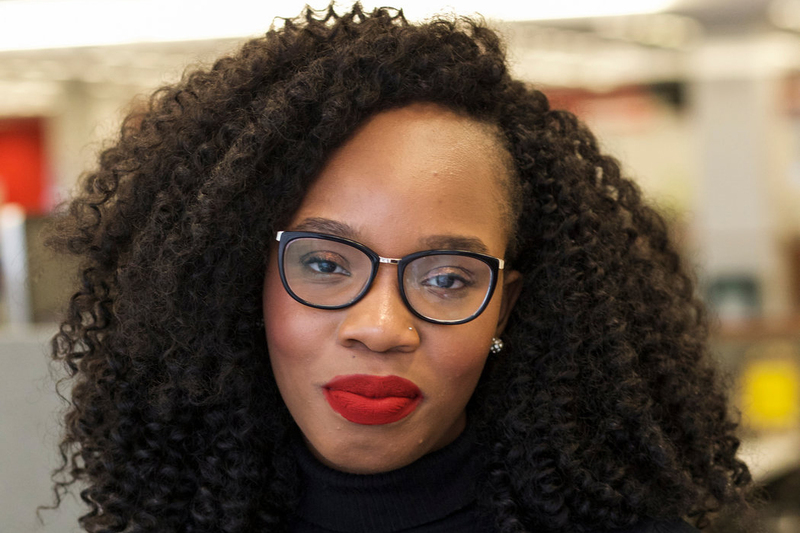 Now an alumna of the Columbia University Graduate School of Journalism, Ashley is eager to one day return to Nigeria and cast light on stories that she said do not often get recognized. These are everyday stories about everyday people, she said, and they often be overlooked. Writing about them, Ashley said, can be a way to help people realize they are important.